RF Venue makes wireless microphones and in-ear monitors work and sound better. More devices are competing for less spectrum.
" We are big fans of RF Venue! Great products and great customer service. We're developing a new relationship with a client and we've been asked to provide more RF Venue products for their system. We keep a Diversity Fin on hand at all times for this very reason. " "Love the products. Especially, in my market... the CP Beam. We offer it to our touring clients in lieu of a traditional helical antenna, which requires a large case to transport. The CP Beam collapses for easy transport. Saves the band a great deal of money, and hassle over time. Most importantly, it works great!!!" 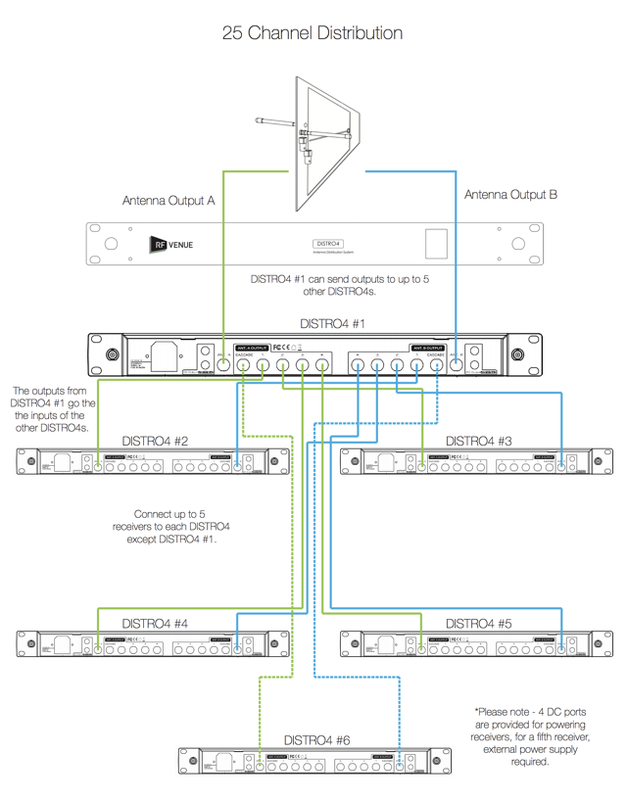 "We've standardized on RF Venue products and bundles on almost all of our projects. The performance is there. The value is there. The support is there." Wireless audio projects take our customers to stages, venues and TV/Film shoots worldwide. Tag #RFvenue on your Instagram pics and follow our Facebook page for new product updates and other info. "Jürg Lempsen's cart in the Swiss Alps with Sonosax, PSC, @Lectrosonics and @RFvenue. He got almost 1000' of range!" "The CP beam is making it happen in monitor world"
"Here at Skylark we believe in diversity - the RFvenue Diversity Fin Antenna"
"The @RFvenue CP Beam is the best antenna I've ever used. Period. No dropouts."